We are so confident in our product, we guarantee it. If you aren’t 100% satisfied with your Christal Clear Showcases, they can be returned for no reason at all after 2 shows (or up to 3 months) with a complete refund and free shipping. Christal Clear Showcases also provides a 1 year manufacturing warranty to cover any faults with the case and its parts. This includes any cracks in product or malfunctions with the locking system. This warranty does not cover regular wear and tear. Please follow the best practices for care to uphold this warranty. *Warranties are valid with regular care and maintenance in accordance to our best practices guide received on date of purchase. 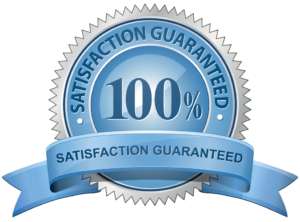 If the product was not cared for to our Christal Clear standards within the first two shows or three months (whichever comes sooner) our 100% Satisfaction Guaranteed warranty will not be upheld.